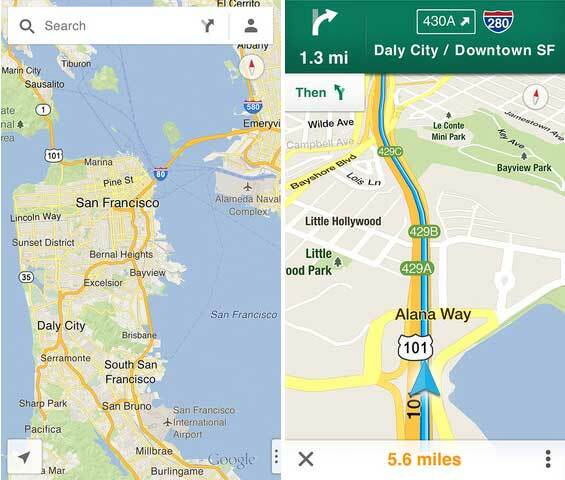 Charlie Wolf of Needham & Company characterized the return of Google Maps to iOS, in the form of a third-party application on the App Store, as a "mixed blessing" for Apple. He views the more definitive winner as Google, which launched its Maps application in more than 40 countries and 29 languages this week. "We see the Maps app on the iPhone as a win-win for Google because the company will now be able to generate location-based advertising and other revenues from iPhone users who use the app," Wolf wrote in a note to investors on Friday. The positive for Apple, he said, is that the availability of Google Maps  now with the addition of turn-by-turn directions  will help to soften some of the negative public perception surrounding iOS 6 and the iPhone 5. "It has the potential to attract a meaningful number of new users to the iPhone who had previously shunned it," Wolf said," because of Apple's well-publicized misstep in releasing a less-than-market-ready product in the first place." However, he also conceded that the launch of Google Maps on the App Store could also hurt Apple by driving users away from its own Maps application. "Users' input is critical in improving the quality of the application, and Apple will now receive less feedback on its own Maps app what with iPhone owners flocking to Google Maps," he said. Apple's decision to enter the mapping business has placed a new focus on mobile maps, helping to spur competition on the App Store. Most notably, Nokia entered the market with its new Here maps last month, in an attempt to make a splash after users were disappointed with Apple's Maps. But Google Maps, which previously powered Apple's iOS Maps application before the launch of iOS 6 in September, is the market leader, and its return to the iPhone has been highly anticipated. As such, the free Google Maps has been the most downloaded application on the App Store since Wednesday, and with YouTube and Google Earth, Google now has three of the top five free iPhone applications.